Good and sturdy. Great color and easy to put together. Mainly bought this because the price was good and it was the perfect set for my backyard. I am going to buy more of the stools for my backyard bar. We are decorating in the Tropical/Tiki style. Love the height of the table and stools. Overall great buy. 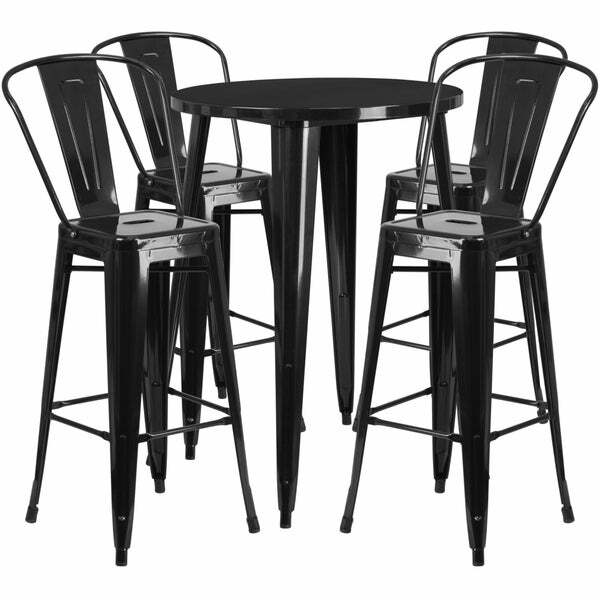 We purchased this set for our patio.We wanted a pub set because the chairs sit higher then normal dining sets and we wanted the additional height to see over our 2nd story patio balcony. With normal dining the balcony railing is right about eye height when your seated leaving you with an obstructed view. Be purchased the blue set and really like the color. Good value. Easy assembly and as described. "I am trying to order the silver but it is not giving me an option"
This chair is functional, and although not plush, it is fairly comfortable to sit. Indicated by great reviews! "What is the seat height of the stools? Thanks"